Lewisburg — The Women’s Giving Circle (WGC) of the Central Susquehanna Community Foundation (CSCF) recently awarded $20,000 to nonprofit organizations during its competitive grantround. 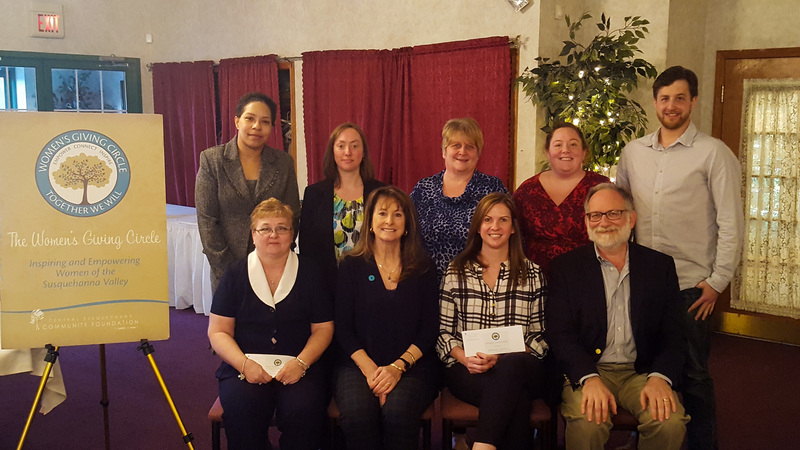 The awards were granted through the Women’s Giving Circle Fund of the Central Susquehanna Community Foundation. Through the Central Susquehanna Community Foundation, the Women’s Giving Circle is a means to raise funds to distribute to projects and initiatives that improve the lives of women and girls throughout the Central Susquehanna Region. To learn more about the Women’s Giving Circle and how to become a member, please visit www.csgiving.org or contact the Foundation office at 570-752-3930. Nonprofit organizations that provide programming for women and girls in the Foundation’s 5 ½ county service area; Lower-Luzerne, Columbia, Montour, Northumberland, Union and Snyder Counties, are encouraged to apply during the 2020 competitive grantround. Details will be available January 2020 at csgiving.org/grants. The Women’s Giving Circle of the Central Susquehanna Community Foundation hosted a dinner at La Primavera in Lewisburg on March 19, 2019, to present their grants and celebrate the impact of the WGC. Pictured above are the 2019 grantee representatives. (left to right); Front row: Vicki Berlin, Single Mothers Individually Living Empowered, Inc. (SMILE); Susan Mathias, Transitions of PA; Liz Emerick, American Cancer Society; Scott Rubin, Shape of Justice, Inc. Second Row: Danielle Howie, Single Mothers Individually Living Empowered, Inc. (SMILE); Renee Gerringer, Ronald McDonald House of Danville, Inc.; Patti Snyder, HandUp Foundation; Kate Stepnick, The Nicholas Wolff Foundation; Regan Swartzentruber, Shape of Justice, Inc.